Having previously shown off the i Vision Dynamics gran coupe at last year’s Frankfurt Motor Show, BMW has upped the ante by showing off the latest concept for its all-electric range. 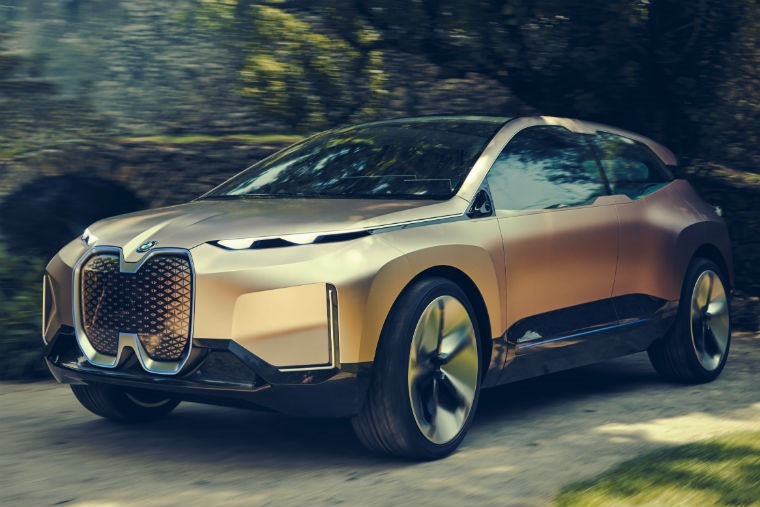 Highly automated, emission-free and fully connected, the BMW Vision iNext is an SUV which will headline the range when it is launched in 2021. Boasting the size and proportions of a modern BMW sports activity vehicle, the BMW Vision iNext cuts an imposing figure, while the large, interlinked double-kidney grille, the iconic side window graphic, and the blue accent surfaces at the front, sides and rear are touches we’ve seen previously. The vehicle’s functional two-box proportions and long roofline hint at the ample space inside thanks to the lack of B-pillar thanks to a set of suicide style rear hinged rear doors which open up the interior. The long wheelbase and short overhangs, meanwhile, give the silhouette a dynamic edge. 24in wheels are aerodynamically efficient, and their three-dimensional, sculptural design represents both a stylistic and functional highlight while cameras assume the job of the exterior mirrors. With level-3 automatic features, the interior hints at the highly-automated future BMW foresees with drivers able to choose to either drive themselves (‘Boost’ mode) or be driven (‘Ease’ mode). ‘Boost’ mode uses the electric drive system to deliver a highly dynamic and virtually silent driving experience with zero emissions, while ‘Ease’ mode sees the vehicle offer the driver and passengers a space in which to engage in a wide range of activities to effectively provide a living space on wheels. In ‘Boost’ mode, the steering wheel and displays are positioned clearly towards the driver. When ‘Ease’ mode is engaged, the driver’s immediate environment changes as the steering wheel retracts slightly, creating a more open sense of space and the display panels switch from driving-related content to providing suggestions of places and events in the surrounding area. Elsewhere, the large panoramic roof floods the interior with light, creating a cheerful, welcoming atmosphere. Two individual seats in the front plus a one-piece bench in the rear mean there is room for up to four people. 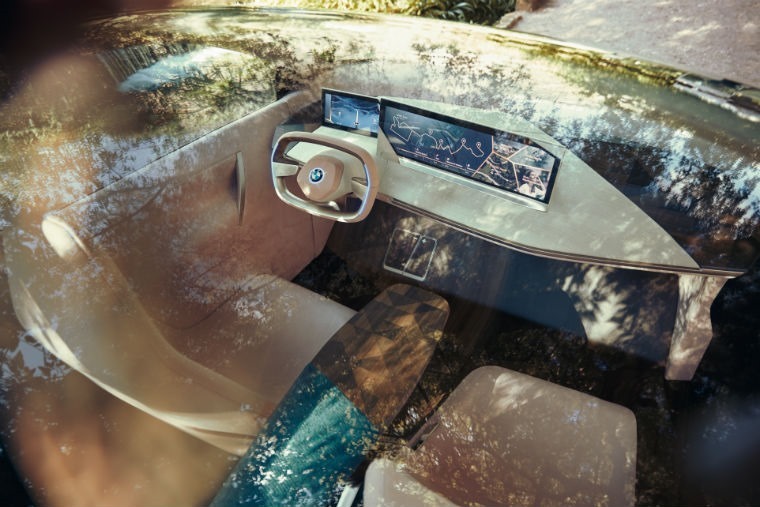 Apart from the steering wheel and displays in the driver’s area, there are no other screens or controls to be seen in the BMW Vision iNext. 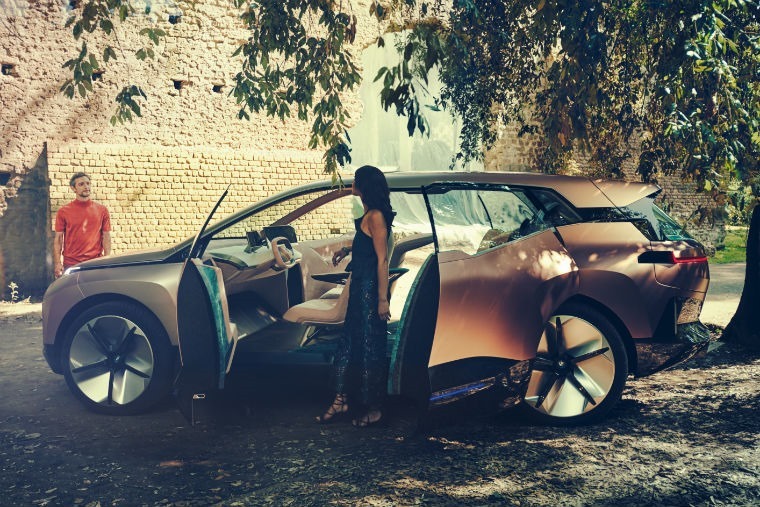 “The possibilities opened up by autonomous driving and ever-expanding connectivity enable a whole new range of experiences and ways of shaping a journey. 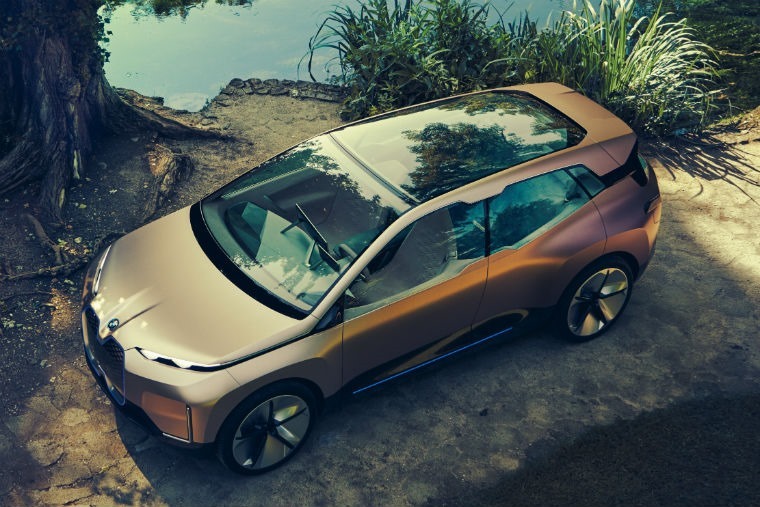 With this in mind, we have designed the all-electric BMW Vision iNext as a mobile environment that enhances quality of life.” commented Klaus Fröhlich, member of the board of management of BMW AG, responsible for development.